I love clothes and fashion but sometimes with my medical condition affecting my size ( I am currently fitting Size 14 in Women or L to XL) pacifically living with an ostomy (basically a bag outside of my tummy) due to Crohn's Disease!! The styles I love are either too tight or too body forming which will is dead giveaway that you have a medical device on your body!! I want to currently explore my options in finding clothes that will complement not just my curvy body but also living with a medical condition! 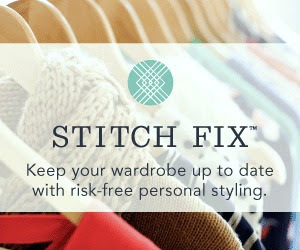 "Stitch Fix is the first fashion retailer to blend expert styling, proprietary technology and unique product to deliver a shopping experience that is truly personalized for you. 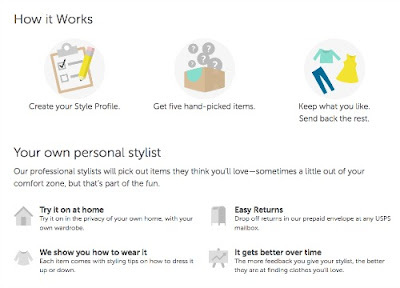 Simply fill out the Stitch Fix Style Profile and our personal stylists will handpick a selection of five clothing items and accessories unique to your taste, budget and lifestyle. You can buy what you like and return the rest!" I noticed they have clothing sizes ranging up to size 14 or L-XL!! And yes readers, they have petites and maternity sizes as well plus you can chat with their stylists!! I want to try comfy sweaters, wrap around dress or skirts that are "flowing" instead of clingy, and tastefully accessories to style my wardrobe! Next month, I hope to try out this service for Fall 2015 apparel and accessories! Shopping for clothes should be fun!! To my readers, what is your personal experience with trying clothes and accessories with Stitch Fix? 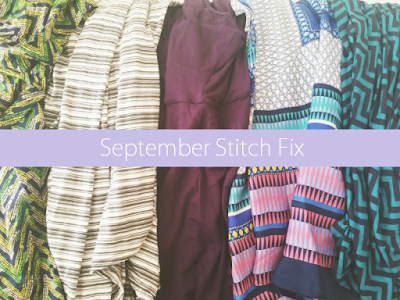 I thought about applying for part-time work with Stitch Fix but I don't know where I'd find the time. I'm looks like a great service though. That is what I am about to find out this Fall...I want personal styling for my wardrobe for my lifestyle! This seems like a wonderful service, and I wish you all the best of luck with it! I'm sorry to hear about your medical condition, but you seem very strong about it, and I hope that this proves a solution for your wardrobe problems!! I decided I will have a healthy body with my Crohn's Disease instead of a "bikini" body (although there is someone sporting one on the Internet...more power to her!!). I want to enjoy clothing shopping and wearing clothes minus the body conscience!! Here to the fashion plunge!! I 've never heard of them, but I will have to check them out. It sounds pretty neat. I do like flowy clothes. That is what appeals to me in wearing every mag is emphasizing skinny or skin tight clothes!! I all I know its located in San Fran for right now it seem US but who knows in the future!! The foundation looks great on you. Do you think this is better than L'Oreal's True Match Foundation. I use that regularly so I wonder how this would compare. I need to try the latest True Match now enough women of ethnicity have commented about not having the right shades via Loreal...I will let you know when I do ! !